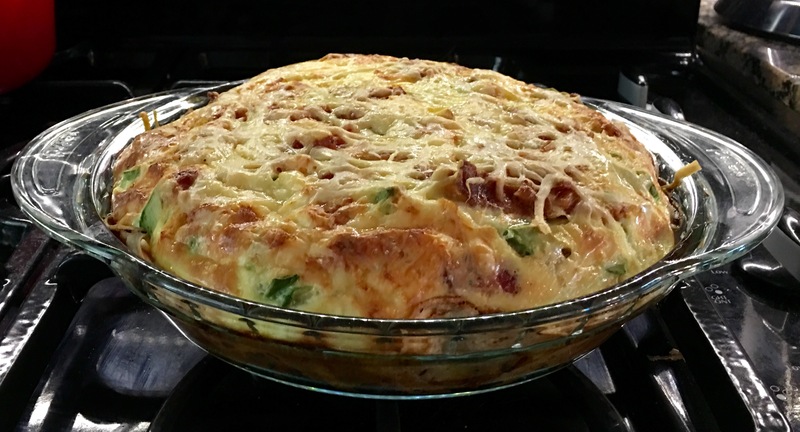 Roasted Jalapeno Avocado Bacon Pie – This Girl Loves to Eat! Because Thursday is the slowest day at my “real job” I usually have time to fool around in the kitchen to try to create a new dish to serve for dinner. This week was no different except that I needed to come up with something healthy because I am (BOO – HISS) dieting i.e., not eating anything that even resembles Halloween candy or that I can pick up at a drive-thru window, have delivered to my front door, or comes out of a can or box. No Bueno! Determined to stay on track, into the kitchen I went to make a healthy meal that would taste good, keep me full and make my digestion work hard (and burn calories) all night long. Happily I found some of my favorite spicy, salty, satisfying flavors there! Bacon, fresh jalapenos, a forgotten Roma tomato (thankfully still firm), some ripe avocados from my backyard, green onions, eggs, and a wedge of aged gouda. 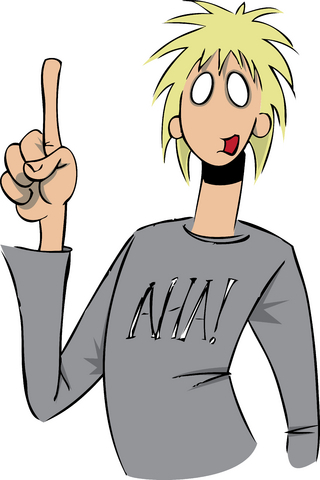 AHA Moment: I’d eat breakfast for dinner! Preheat the oven to 350 degrees. Lightly spray the bottom and sides of a 9.5″ Pyrex pie plate with the Olive Oil Spray. In a small non-stick frying pan heat each of the tortillas until just lightly browned on both sides. Lay one in the center on the bottom and then layer the rest around the pan overlapping to make sure there is a “crust like” coverage. In the same pan roast the whole jalapenos until the skin bubbles and begins to blacken. If you want a bit less spice, remove the seeds and stem first. Combine both of the cheeses: sprinkle 1/4 of the cheese over the bottom of the tortilla crust. When peppers are roasted, chop them and scatter over the first cheese layer. Chop and quickly dry saute’ the whites only of the green onions (chop the greens and set aside) and the Roma tomato with a bit of salt & pepper. Distribute the onion/tomato mixture over the jalapenos then cover with 1/2 of the remaining cheese. 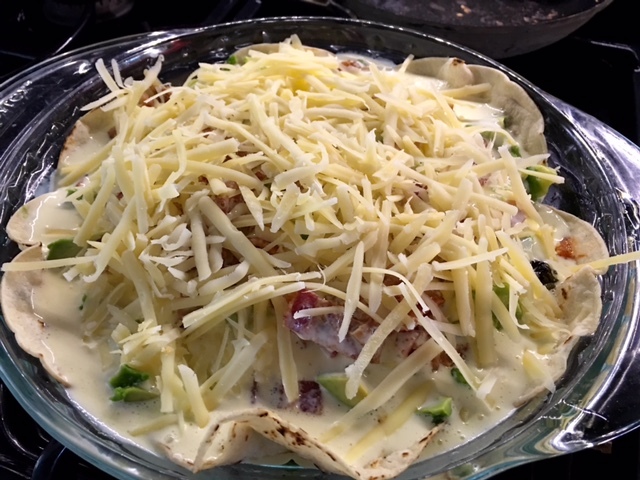 Chop the avocado then layer it with the bacon over the second cheese layer. Mix the 4 eggs and the sour cream until well combined and beginning to thicken. Add cracked salt and pepper then pour carefully over the pie surface taking care not to overflow the edges of the exposed tortillas on the sides. Sprinkle remaining cheese over the top and put pie pan in the center of the pre-heated oven. 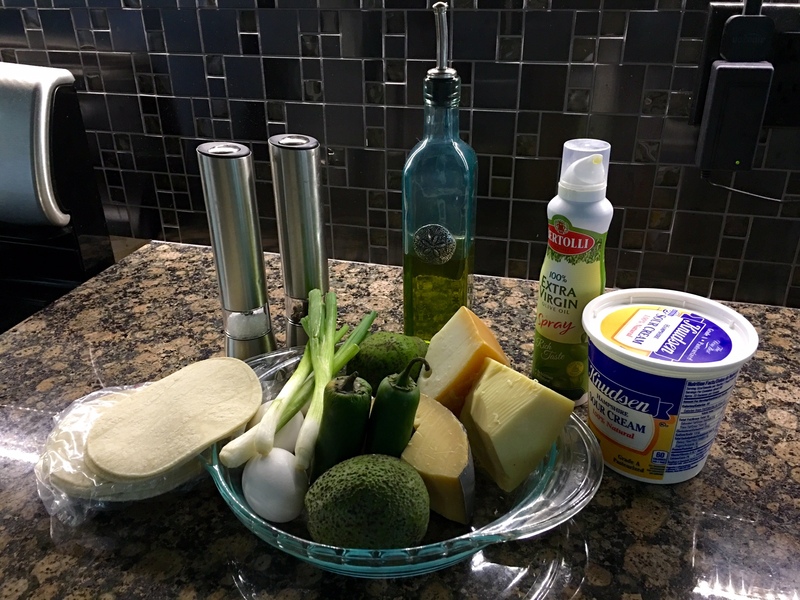 Bake 40-45 minutes, or until cheese begins to brown and a knife inserted into the center of the pie comes out with no egg mixture on it and center is cooked through. Remove from the oven and allow to sit for 10-15 minutes before slicing into wedges to serve. Top each wedge with the reserved chopped green onions. To make this a complete meal serve with a salad of Romaine, the reserved 1/2 of the tomato, and any other fresh produce you’d like (I chop a green apple, some jicama, and add a shredded carrot) then dress lightly with olive oil, combined with salt, pepper and some lemon juice to keep it healthy. 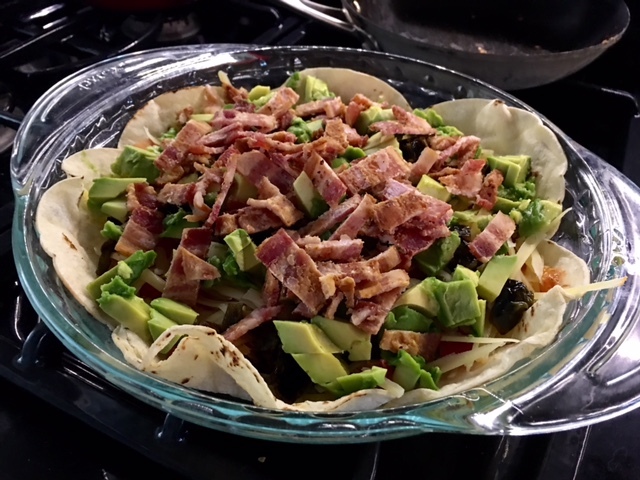 Posted on October 30, 2015 November 2, 2015 by ls1228Posted in breakfast, Dinner, eggs, Gluten Free, Grown in the Backyard, RecipesTagged Aha Moment, avocado, bacon, breakfast for dinner, cheese, corn tortillas, delivery, dieting, drive-thru, eggs, Halloween candy, JAB Pie, jalapenos, No Bueno, Pyrex, Roasted Jalapeno Avocado Bacon Tortilla Pie, Roma tomato, salty, satisfying, spicy.